The FSA Office received news concerning the November acreage reporting deadlines this past week. The ARD or Acreage Reporting Deadline for perennial grasses has been changed from November 15thto July 15thfor crop year 2019 and subsequent years. There will be more information forthcoming in the next few weeks concerning this change and reporting requirements for NAP crops. Perennial grass in Kiowa County is the largest NAP insured crop in the county. During the next few weeks, the FSA office staff will be notifying producers who have NOT reported completed a 2019 acreage report, the deadline is November 15th. The staff is going to busy once harvest is complete with the Market Facilitation Program (MFP) as producers are turning in their final crop harvest production and we need to be wrapping up the required acreage reports. Remember when visiting the office to have all the information to complete an accurate acreage report, this means plant dates, intended use of the planted crop, and crop shares. 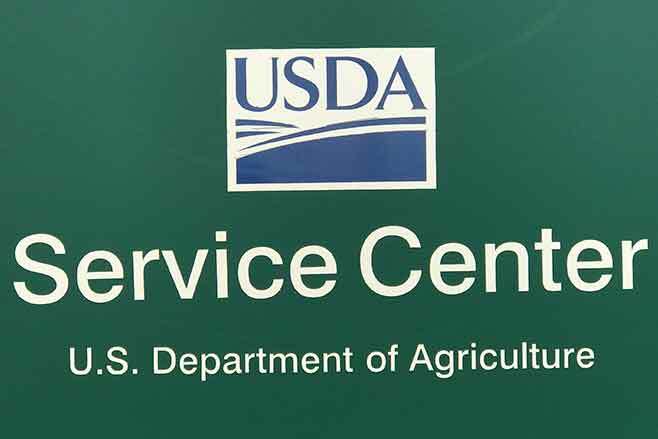 Farm Service Agency (FSA) is currently administering the MFP program to provide payments to producers share of 2018 harvested production of corn, cotton, sorghum, soybean, wheat. Hog and dairy producers are also urged to apply, as a payment rate is established for those commodities also. An announcement about further payments will be made in the coming months, if warranted. The sign-up period for MFP which includes signing Part D of the CCC-910 form, ends Jan. 15, 2019. Eligible producers should apply after harvest is complete, as payments will only be issued once production is reported. Producers may apply at any FSA Office; however, the application will be administered by the producer's or entity recording county for payment eligibility. Applicants must have a 2018 AGI - Adjusted Gross Income Form or CCC-941 certifying that the average adjusted gross income for tax years 2014, 2015, and 2016 is less than $900,000. Applicants must also comply with the provisions of the Highly Erodible Land and Wetland Conservation regulations. Producers can learn additional information on the MFP program at www.farmers.gov/mfpincluding payment rates for the program.